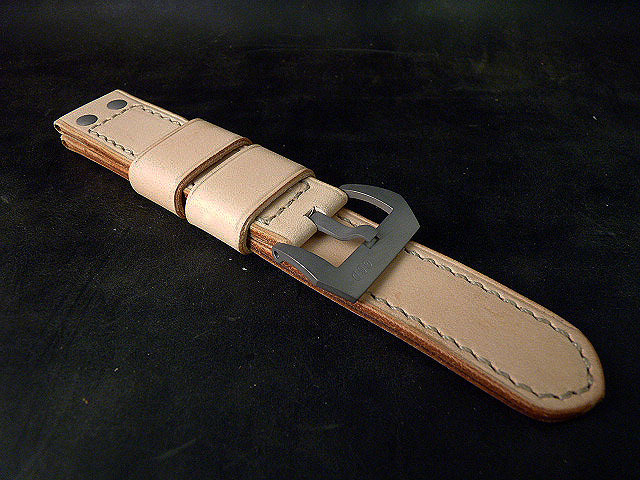 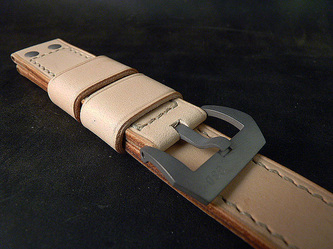 Natural is vegetable-tanned leather that hasn't been dyed or otherwise colored/finished. If you're chasing something that will darken over time and tell your own "story", then this is your strap. 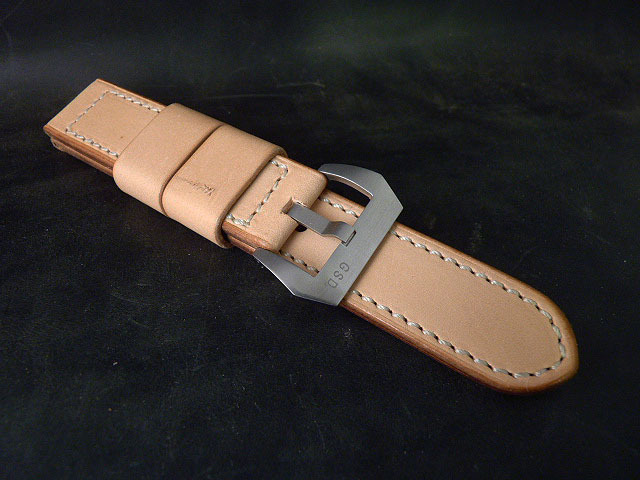 This last pic was sent to me by a client in England after he'd worn the strap for a while. Note the lovely patina that is developing on the leather.